Nelson N. Stone, MD, argues that MRI’s limitations make it insufficient for evaluating and managing prostate cancer patients under consideration for active surveillance (AS) or targeted focal therapy (TFT). Instead, urologists should consider technology like the under-development 3DBiopsy™ system, with a transperineal needle along with mapping software. This approach can detect the precise location of lesions and create a roadmap for treatment planning. This presentation is a response to “Should MRI Be Used to Monitor for AS? Pro Argument” by Peter A. Pinto, MD. Nelson N. Stone, MD, is Professor of Urology and Radiation Oncology at The Icahn School of Medicine at Mount Sinai and at the Derald H. Ruttenberg Cancer Center at Mount Sinai. He also serves as CEO of 3D Biopsy, LLC. Dr. Stone earned his medical degree from the University of Maryland in 1979. He completed a general surgical residency in 1981 at the University of Maryland, followed by residency in urology at the University of Maryland. He then completed a fellowship in urologic oncology at Memorial Sloan-Kettering Cancer Center and a research fellowship in biochemical endocrinology at Rockefeller University in 1986. He was Chief of Urology at Elmhurst Hospital from 1989-1996. Dr. Stone has founded several medical companies and serves on the editorial board of many scientific journals. He is a member of many professional societies, including the Prostate Conditions Education Council, the Society for Minimally Invasive Therapy, the New York State Urological Society, the American Association of Clinical Urologists, and the American Urologic Association. Dr. Stone has participated in approximately 25 research studies on prostate cancer and has authored more than 400 articles, abstracts, and book chapters, most on prostate cancer. He invented the real-time technique for prostate seed implantation in 1990 and has trained more than 5,000 physicians worldwide on prostate brachytherapy through his company ProSeed. His current company, 3DBiopsy, Inc., is developing variable length biopsy devices, mapping software and an integrated pathology system. 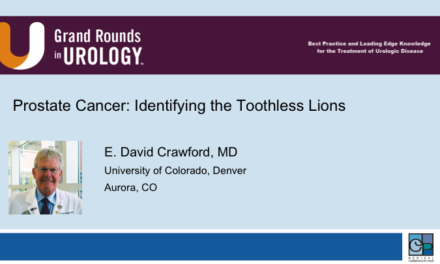 Neuroendocrine Tumors | Not so Rare? Ask the Expert: What Are the Options in Treating Persistently Elevated PSA and Negative Biopsy?